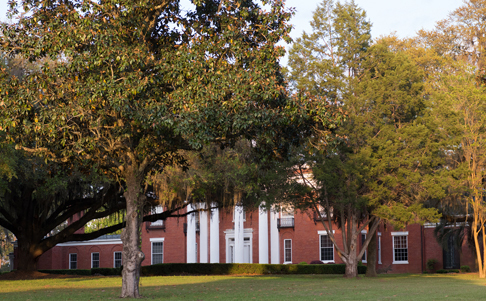 “Deep in Dixie” presents more history on Dixie Plantation, the Livingstons and the Continental Open All-Age Championship. Published in Field Trial Magazine in 2001, here is a pdf of Barbara’s wonderfully researched story. 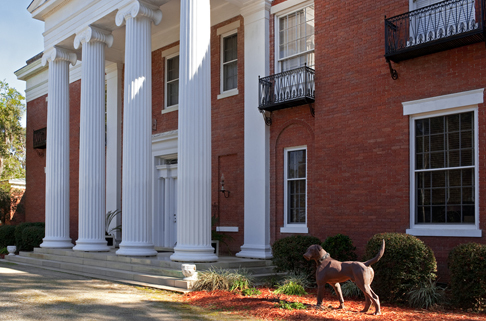 Life size bird dogs once flanked the entrance of the Dixie manor house. Photographed in 2015, the photo shows the dogs as they once looked. In fact they were in terrible disrepair and are no longer there. The manor house is in the process of being restored to it’s former beauty. 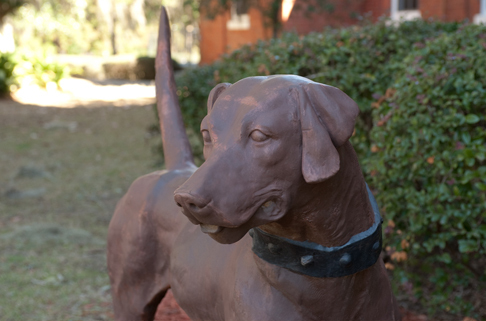 Hopefully, the dogs, too, will take their regal position again.